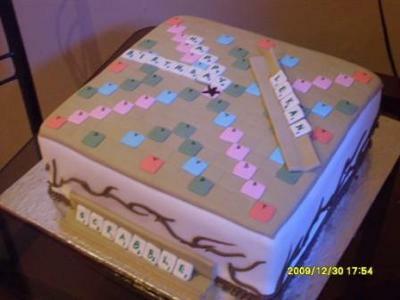 This scrabble board cake is a decorated 14 inch square cake with fondant. I cut scrabble dices in different colors and placed them. Join in and write your own page! It's easy to do. How? Simply click here to return to Adult Birthday Cakes.